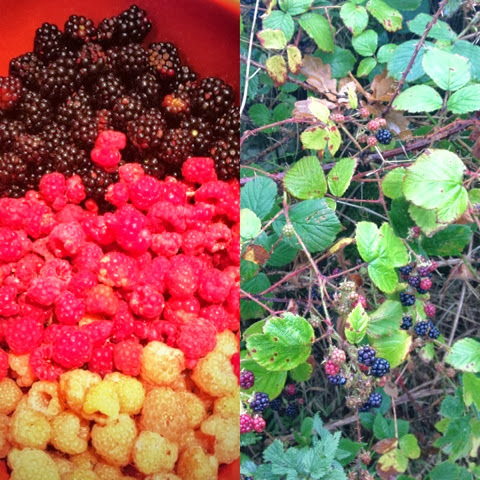 Brambles have got to be the original foraged food. Everyone knows what they are and they're easy to find and identify. I have vivid memories of picking them along old railway lines as a child with my Grandma Corntown. Plus the inevitable accompanying purple stained fingers and scratches from their thorns, plus the occasional nettle sting into the bargain. There's been a bumper crop this year and I've made good use of our pickings with a couple of kilos stowed in the freezer for later use. Cut out 12 circles from your pastry and use them to line the holes of a greased bun tin. Beat together the butter, sugar, egg, vanilla, almonds and flour. 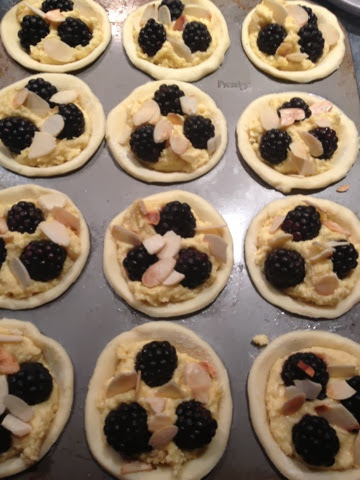 Divide the filling between the tarts and top each with three brambles and a sprinkling of almonds. Bake at 180 degrees for 20 minutes until lightly golden. 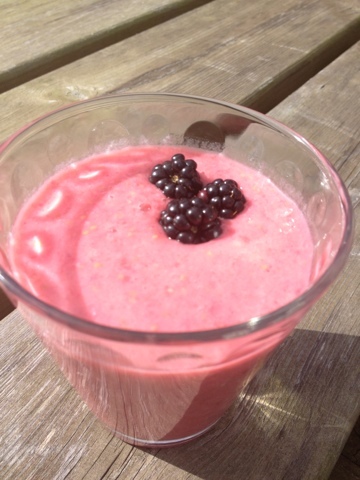 Bramble Smoothies for the kids and Bramble Gin for the grown ups came next. The Bramble Gin is the last in a series of fruity booze joining Rhubarb Vodka, Blackcurrant Whisky, Rhubarb Gin and Redcurrant Vodka. Hic. 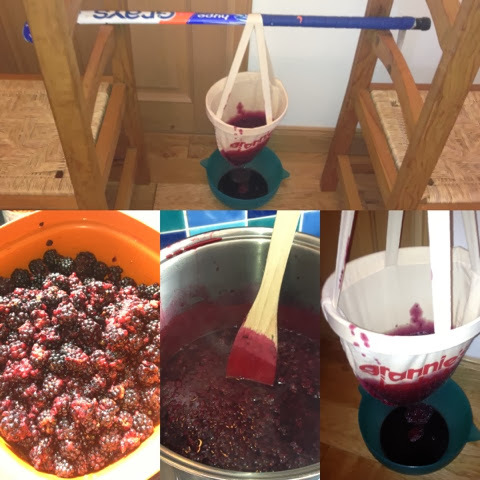 I infused 600g of Brambles with 300g of sugar and 1 Litre of gin. Keep in a dark place for as long as you can bare before sampling. Strain and enjoy straight, on the rocks or with a splash of tonic. Of course there has to be jam. Well actually there wasn't but I did manage Jelly. 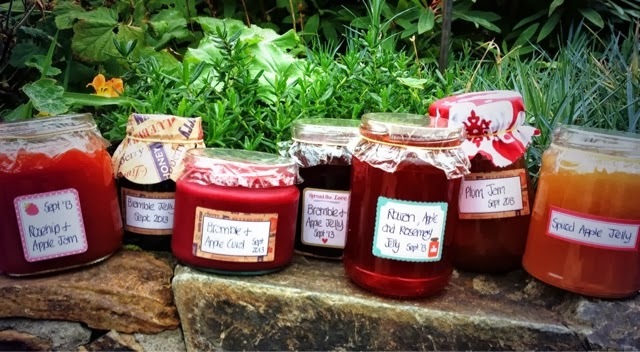 Bramble and Bramble and Apple both featured in the original 44 jars of The Self Preservation Society. I did lend my jam making kit to a friend to make her first ever batch and she thanked me with a jar of Bramble Jam so all is good. Crumble was a must do but given the trend for Cronuts and Duffins I made a hybrid. Scrumble. Scone and Crumble topping. You could make this in the traditional way on the hob over a bain marie but I prefer to use the microwave. Cook the fruit with 2 Tbsp of water until pulpy and sieve to remove the seeds. Add the sieved eggs and cubed butter and microwave and whisk initially at 20 second intervals until butter is melted and all ingredients are well combined. Continue to microwave, whisking at regular intervals, until thick and creamy. Pour into sterilised jars and cover with waxed disc and cellophane. Will keep up to 6 weeks in the fridge. 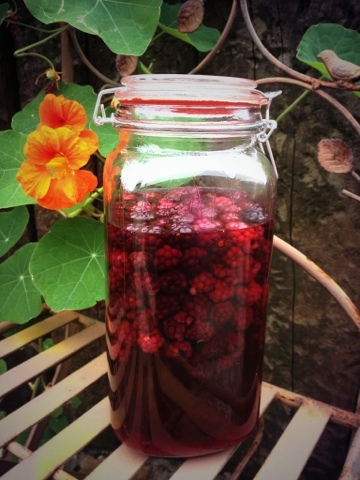 Oh what incredibly fabulous bramble recipes Claire. 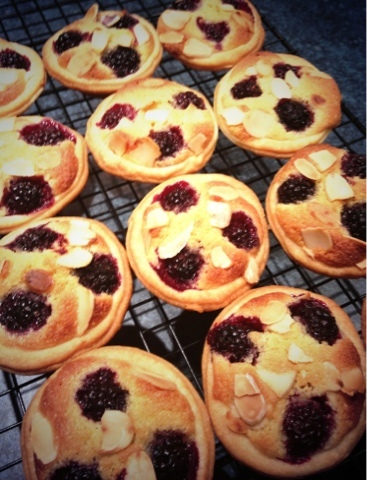 I love the bramble bakewells and will definitely be making those. 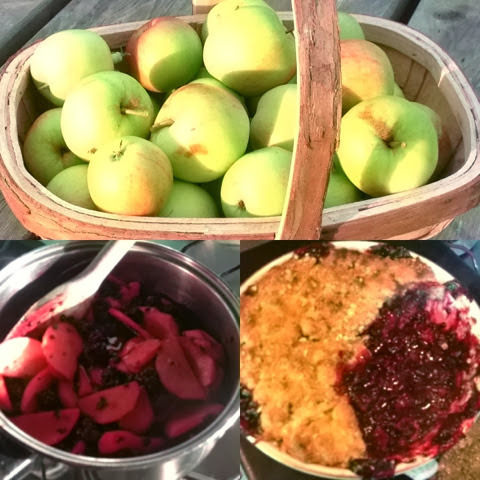 Thanks so much for joining us for The Great British Blackberry Recipe Round Up.